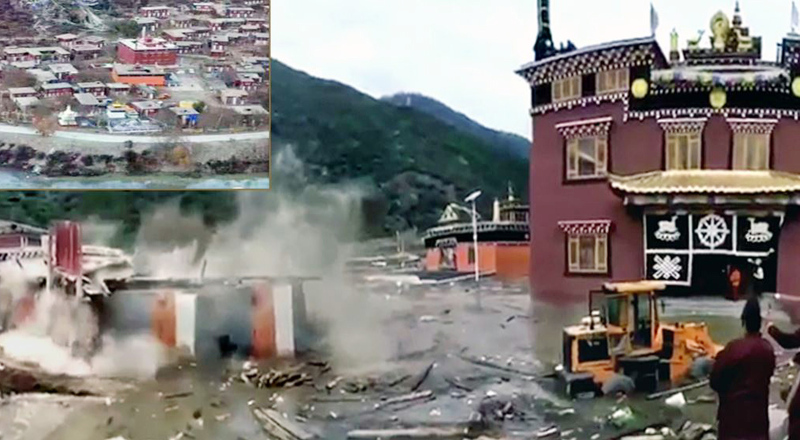 (TibetanReview.net, Nov13, 2018) – A second barrier lake formed by a landslide in Chamdo city of Tibet Autonomous Region (TAR) on Nov 3 on the Jinsha (Tibetan: Drichu) River had begun overflowing at 10:50 am on Nov 12 through a man-made floodway, reported China’s official chinadaily.com.cn Nov 12. It cited China’s Ministry of Emergency Management as saying the flow was expected to peak in about 20 hours. The report said water entered the 220-metre-long floodway at 4 am and began discharging into the river’s lower reaches almost seven hours later. The ministry was further cited as saying the upper and lower reaches of the Jinsha River had not seen a dramatic increase in water level as of 11 am, but that experts had predicted a deluge after about 20 hours. 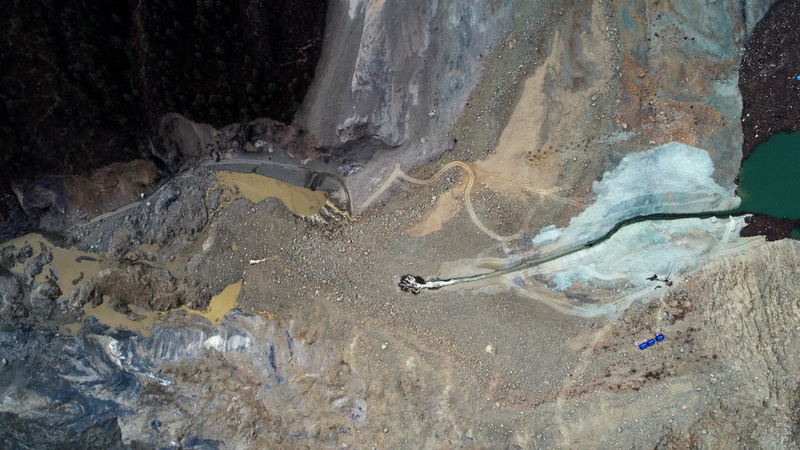 The lake was reported to have held about 524 million cubic metres of water before the overflow. Earlier, some 34,200 people were reported to have been evacuated along the river in Sichuan and TAR as the lake’s water level continued to rise.